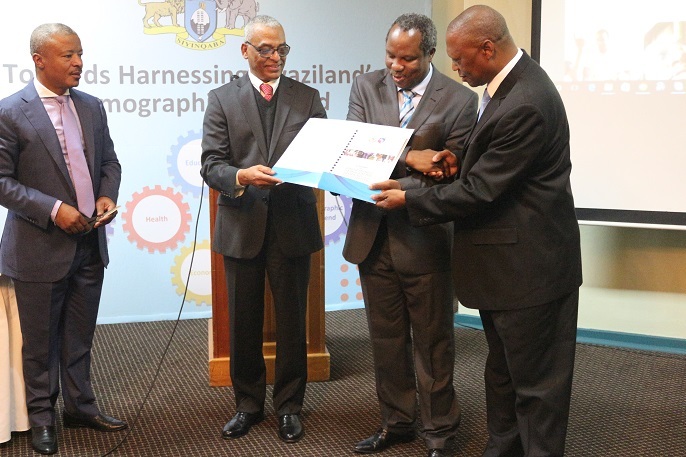 The Honourable Minister of Economic Planning, and Development, Prince Hlangusempi today launched the African Union Roadmap on Harnessing the Demographic dividend through Investments in Youth at a breakfast meeting. Dignitaries who were also present at the event included the Honorable Minister of Sports Culture and Youth Affairs and the United Nations Resident Coordinator, Mr. Israel Dessalegne. 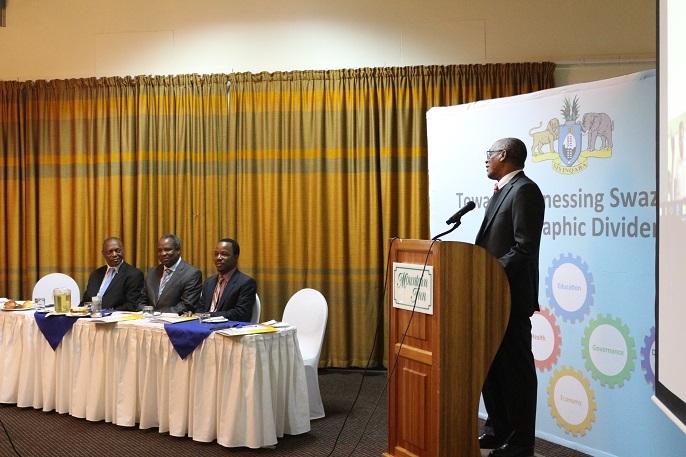 Speaking at the event, the Minister noted that “the African Union theme is most relevant to the population issues confronting Swaziland and that Government acknowledges the sense of urgency that comes with seizing the demographic window of opportunity while it lasts”. 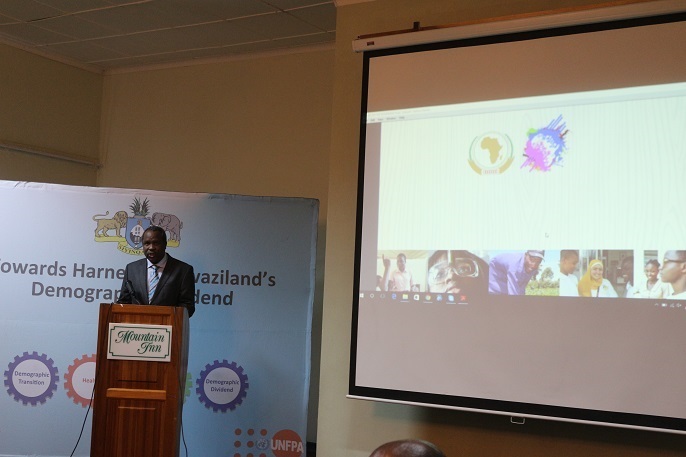 The UN Resident Coordinator highlighted that the United Nations System, under the leadership of UNFPA, has contributed significantly towards shaping the demographic dividend agenda at continental and national levels, he further highlighted that youth employment is a stimulus to harnessing the demographic dividend. Other dignitaries that attended the launch included the Secretary to Cabinet, Mr. Mbuso Dlamini, Head of Operations at the European Union, Ms. Ariane Labart, WHO Resident Representative, Dr. Tigest Ketsela-Mengestu, the UNICEF Resident Representative, Ms. Rachel Odede, UNESCO Secretary General,Ms. 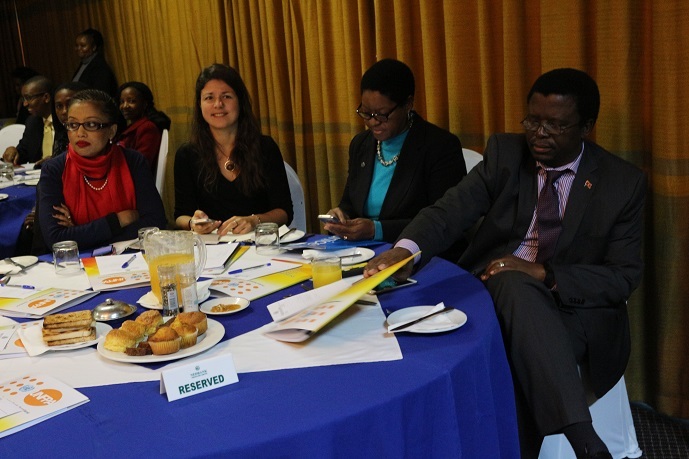 Hazel Zungu, FAO Assistant Representative, Ms. Khanyisile Mabuza, Principal Secretary (PS) from the Ministry of Economic Planning and Development, Mr. Bertram Stewart, and P.S. at the Deputy Prime Minister’s Office Ms. Khangeziwe Mabuza, Youth Representatives from the Swaziland National Youth Council, Directors from government departments, parastals and non-governmental organizations.